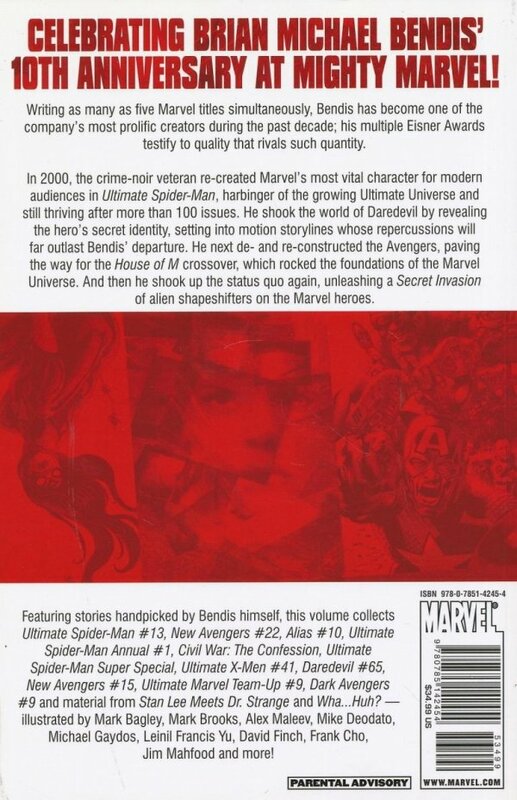 Celebrating Brian Michael Bendis' 10th anniversary at Mighty Marvel! 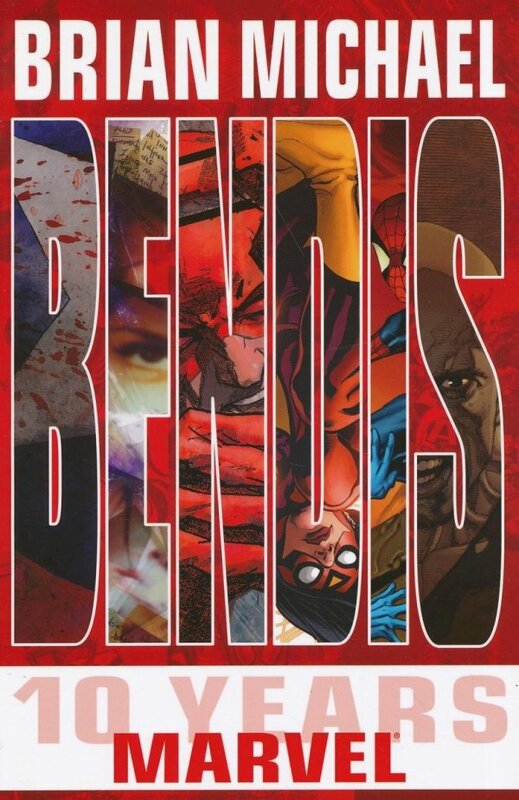 Writing as many as five Marvel titles simultaneously, Bendis has become one of the company's most prolific creators during the past decade; his multiple Eisner Awards testify to quality that rivals such quantity. In 2000, the crime-noir veteran re-created Marvel's most vital character for modern audiences in Ultimate Spider-Man, harbinger of the growing Ultimate universe and still thriving as it eclipses 100 issues. He shook the world of Daredevil by revealing the hero's secret identity, setting into motion storylines whose repercussions will far outlast his departure. He next de- and re-constructed the Avengers, paving the way for the House of M crossover, which rocked the foundations of the Marvel Universe. And then he shook up the status quo again, unleashing a Secret Invasion of alien shapeshifters on the Marvel heroes.